File photo, Kaukauna School District. Kaukauna Head Coach Jeff Matczak was inducted in the George Martin Wrestling Hall of Fame on Friday, Oct. 31, 2014 at the Wisconsin Wrestling Coaches Association Clinic at the KI Center in Green Bay. Coach Matzcak was one of four inductees for the class of 2014. KAUKAUNA — Jeff Matczak has been selected as the recipient of the 2015-2016 National Federation of High School Associations (NFHS) Wrestling Coach of the Year Award for Wisconsin. Each year, the NFHS recognizes a coach from each state for significant achievement in their sport. Award recipients are selected based upon a variety of criteria including their coaching record, background, coaching honors and involvement in community and school organizations. State-level recipients are further considered for NFHS Sectional and National recognition. This honor is another addition to Coach Matczak’s already impressive resume. A graduate of Pulaski High School, Matczak earned during his high school career, nine letters in baseball, football and wrestling, was named captain of all three teams, earned MVP and All-Bay Conference accolades and won the Dr. S. F. Brusky Award for outstanding male athlete. During his college career at the University of Wisconsin-Oshkosh, Matczak earned NCAA Academic All-American honors, the Wisconsin State University Conference Scholar-Athlete Award, and was one of two recipients of the UW-Oshkosh Chancellor’s Award for Excellence. He represented the University at the NCAA Division III National Tournament after winning the Great Lakes Regional Tournament for his weight class. Matczak has since dedicated 25 years of service to teaching and coaching in the Kaukauna Area School District, serving as co-coach of the wrestling team since 1992, and head coach since 2001. During his tenure, he’s led more than 130 Galloping Ghosts to the WIAA State Tournament. In addition, under Matczak’s leadership, over 100 wrestlers have earned FVA Conference Titles and 52 have placed at the individual state competition. At the team level, Matczak’s resume includes 18 FVA Conference Championships, 7 State Finals appearances, and the past 3 WIAA Team State Titles. Several students who wrestled under Coach Matczek’s guidance have gone on to compete for NAIA and NCAA colleges. During his exceptional career dedicated to improving and promoting wrestling in the Kaukauna Area, Coach Matczak has served as an integral part of developing: an after school elementary program at District schools; a middle school wrestling program; Kaukauna Recreation Department youth programs; certified paid coaches at all levels of Kaukauna Wrestling; Kangaroo Wrestling Club for Olympic-style training; a state-of-the-art wrestling room; a middle school wrestling room; summer camps and Ghost Trained summer sessions for elite youth; Fox Valley Elite year-round development; and numerous other training camps. As a result of his outstanding work with Kaukauna youth, Coach Matczak has earned a number of professional awards, including twelve distinctions as Fox Valley Association Coach of the Year and three WWCA District 4 Coach of the Year awards. 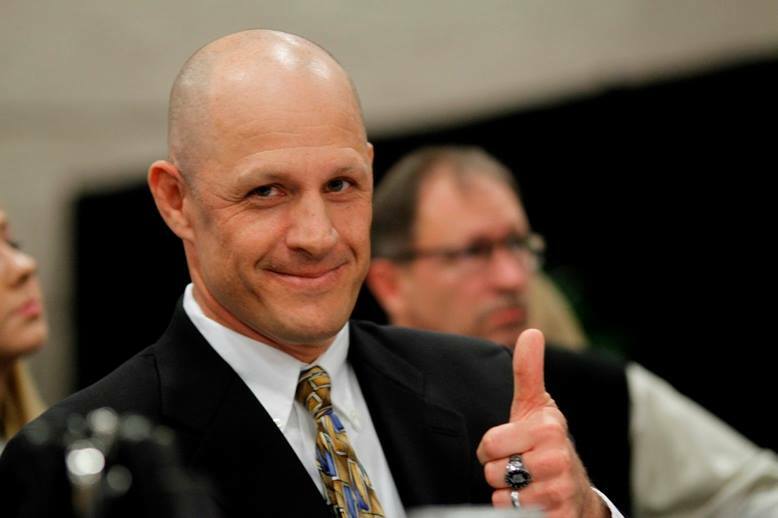 In 2008, he was inducted into the Kaukauna Athletic Hall of fame, and in 2015, he was selected as the WWCA State Coach of the Year and was inducted into the George Martin Wrestling Hall of Fame.